Recently, Hasbro has been grabbing headlines with their rebranding of the Combat Creatures Attacknid. 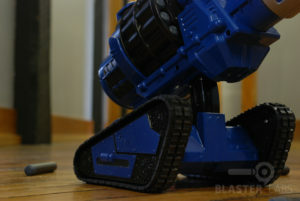 And while we enjoyed our brief experience with the Attacknid, we found the announced $80 price point a bit steep. 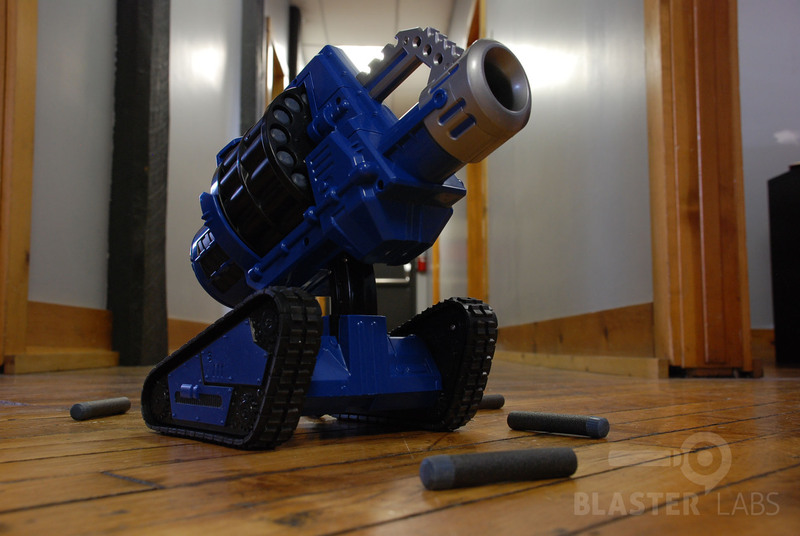 So, we couldn’t help but wonder… with the VMD Cannon Commando now available for $39.99, could this be a better option to get our remote controlled blasting fix? 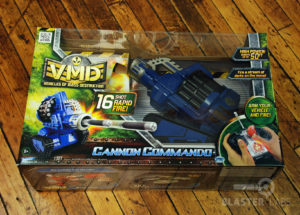 It was only 4 weeks ago that we had our first hands-on time with the VMD Cannon Commando at the NYC Toy Fair. We came away impressed with the enthusiasm Skyrocket Toys had for their line of remotely controlled vehicles (and all their products, really), and looked forward to putting their Cannon Commando through our battery of tests. 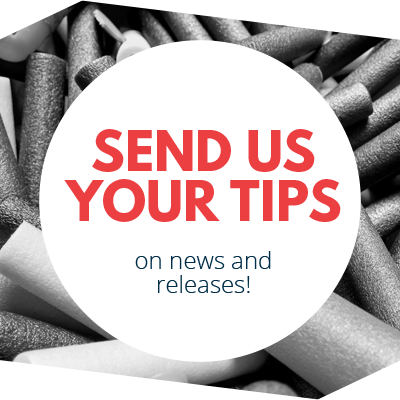 Now, thanks to our new friends at Skyrocket, we’ve been able to do just that—and the VMD didn’t fail to deliver. First, we sought to verify the VMD Cannon Commando’s range claims. Unlike the Combat Creatures Attacknid, the Cannon Commando’s firing trajectory is adjusted manually by raising or lowering the turret through a series of detents. At the lowest setting (slightly above horizontal to ground), we recorded distances of 27-37 feet, with most shots in a 4-5 foot grouping. Elevating the turret a click, we managed shots ranging from 40-50 feet, with a larger grouping. Raising the turret another click, we easily hit 54-61 feet, reaching a maximum of 65 feet with some shots! In fact, the primary limitation to even greater distances appeared to have been our ceiling. We test in an enclosed space to minimize outside variables (wind, humidity, etc. ), and have ceilings that are 9’ 2” high. When raised to 3 “clicks,” every shot from the Cannon Commando hit the ceiling before reaching the apex of its trajectory. Therefore, we will state that the Cannon Commando’s firing range is 65 feet—ceiling limited. Before we move on to another topic, we want to further elaborate on the shot ranges we were seeing. The 65 foot distance we managed in our height-limited space was a full 15 feet more than that claimed by the manufacturer. In fact, when we talked to Skyrocket, they told us prototype versions were hitting 80 feet! So, while the VMD Cannon Commando may have been somewhat dialed-back by the time it hit store shelves (likely for safety reasons), we feel confident in stating that the 50 foot distance claims on the box are very conservative—something quite unlike most products we review. In use, the VMD Cannon Commando would hit maximum ranges only when the flywheel-based system was spinning at full speeds. But when it was, we hit a steady 1 shot per second rate-of-fire, with reasonably consistent shots each time. Few (if any) shots went wildly of-course, and we only had one jam in all of our testing. So far, so good. But range and rate-of-fire alone do not make a superior foam blaster. Since the VMD Cannon Commando is remotely controlled, the ability to accurately pilot it is almost as important as how it shoots. And in this case, we feel Skyrocket came up a little short. The remote control has three frequency settings, so signal disruption was not an issue. And the R/C range also seemed fine in our 118’ office setting, so that was also a non-issue. But what was an issue was how “touchy” the two control sticks were to user input. Working like one would expect from a tank-treaded vehicle (no left/right stick, just two forward/aft rudders—one to control each side of the tread), one pushes the right control stick forward to move the tank to the left, and vice versa to move to the right. This all makes sense, but the problem is that with such a short wheelbase and fast motors, the Cannon Commando would turn too quickly for accurate aiming. It became almost comical watching various members of our team spending a good half a minute or more just trying to line-up a single shot: “Too far to the right. Now too far to the left. Now back-up. Ok, re-aim to the right. Overshot again. Spin around and… woops… there’s a wall. Oh crap, now I’ve run half-way up the wall and flipped over…” This scenario played out over and over again. In its defense, the VMD Cannon Commando is a pretty quick little runabout, and the treads work like a real tank, with little other than full-size walls slowing it down. And if you can master the controls, it does become impressive how quickly it can zip from one spot to the next, climbing right over spent darts in the process. 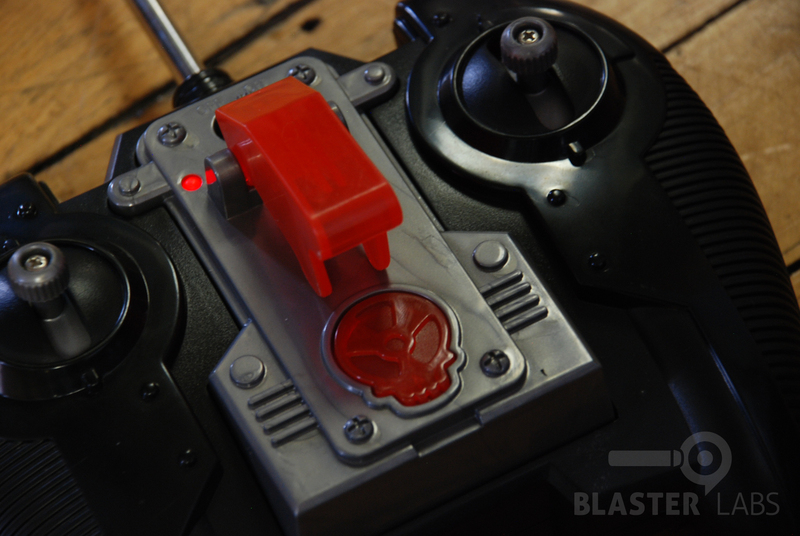 It’s also uber-cool to have a faux weapon-priming switch and red cover on the remote control, with a skull that glows red to indicate the Cannon Commando is ready to fire. It’s all pretend military stuff, but in an over-the-top, almost cartoonish kind of way that makes sure it doesn’t take itself too seriously. Other faults with the VMD Cannon Commando? Well, there’s one big one… it’s loud. Like, really loud. 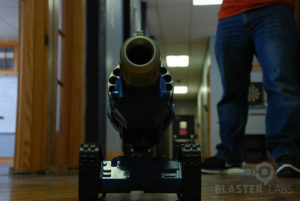 As in, you can hear it firing the whole way across a 100+ foot office (like ours). There’s no way you would ever sneak-up on an opponent. Because the flywheel system has to spool-up before a shot is made, that noise is a real detriment to anyone attempting any form of surprise. And that’s unfortunate, since one of the benefits of a remotely-controlled foam blaster is the idea that you might be able to sneak a shot on someone when they’re expecting to be blasted by a person, not a miniature tank. But aside from the noise issue, there’s not much to fault with the VMD Cannon Commando. 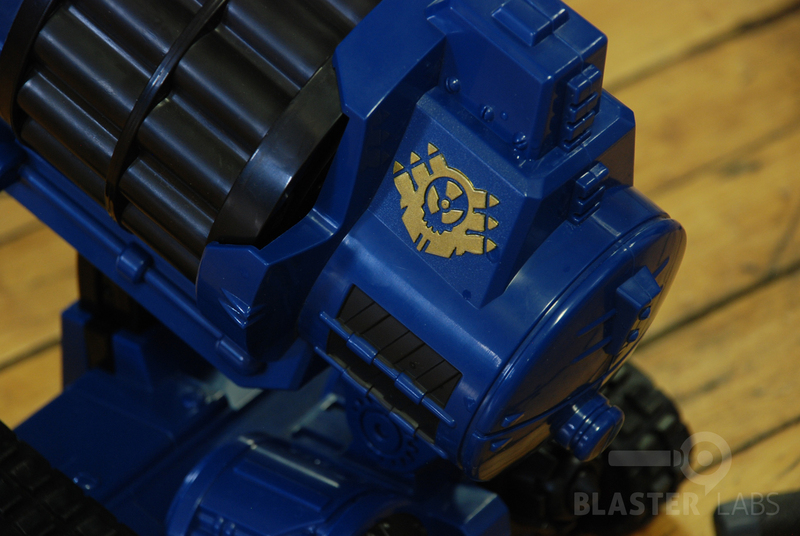 The build quality seems reasonably good, with a solid blue plastic of nearly Nerf-like quality and some small paint detailing on the logo (so much better than stickers) and muzzle. Aesthetically, it’s on the comical side of foam warfare, with the barrel and drum accounting for most of the visual real-estate. And that works for us. Battery life seems decent (ours haven’t died yet). And so far, at least, nothing has broken. 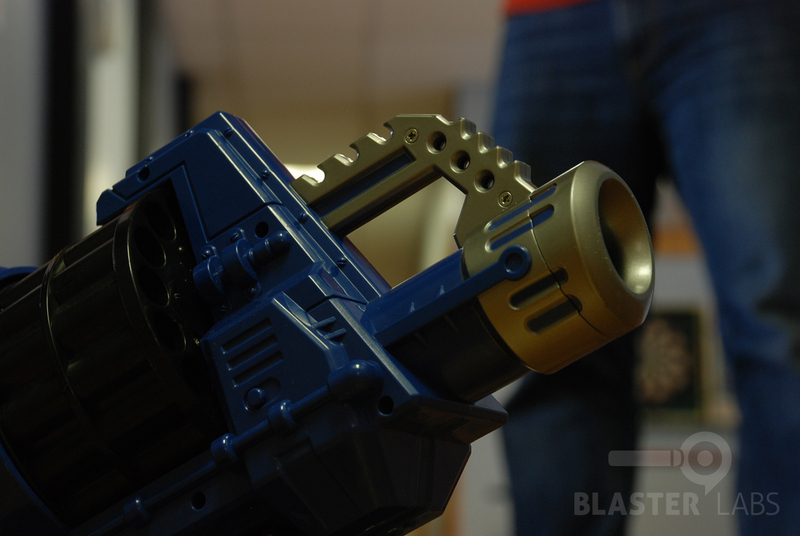 All of which brings us back to our original question: is the VMD Cannon Commando from Skyrocket Toys a viable alternative to the much more expensive Nerf Combat Creatures Attacknid? Well, we’ll have to wait until the Nerf product is released to truly find out. 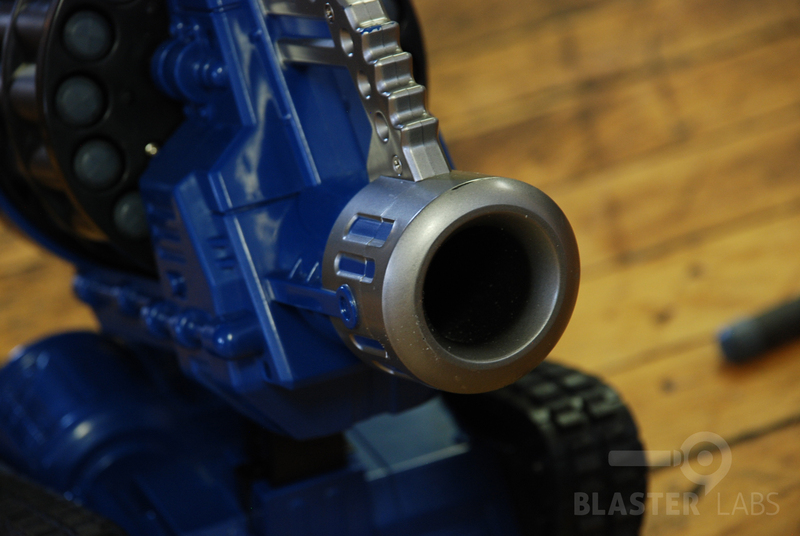 But aside from some very loud motors and a twitchy control system, we found much to like about the Cannon Commando. It may not have the Attacknid’s remotely adjustable trajectory, but it does have a good rate-of-fire, the ability to cover ground quickly, and a firing system that shoots darts with great distance and velocity—far more than claimed. In summary: it shoots farther, fires faster, hits harder…period. And at half the price of the forthcoming competition, it’s that much easier to find out for yourself if the VMD Cannon Commando is the king of remote foam warfare. 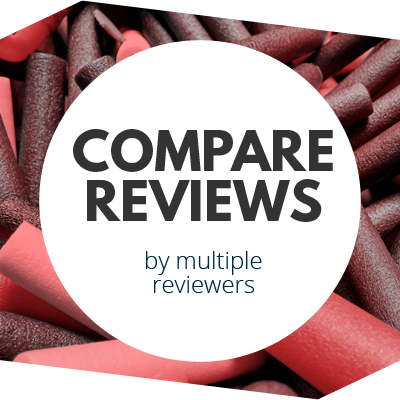 This entry was posted in Reviews and tagged Cannon, Commando, Skyrocket Toys, Vehicles of Mass Destruction, VMD on March 22, 2014 by PMindemann. Niiiiiiiiiiiiiiiiiiice… the fact its loud will thrill my younger cousins. They love RC stuff so to have a fast one that fires more than like 6 missles is AWeSOME! Plus it sounds like the controls have a learning curve like with any weapon or video game. Gotta get used to how it works.